Horror Movies, Reading, Playing Videogames, Media Design, Collecting Blu-Rays, My daughter, My wife. They are. They are still not unrated but as everybody knows by now: they were destroyed back in the days. So these are the same cuts you get in the US and everywhere else. I'am in no means an experienced player. I'am a level 50+ casual player that loves the game in the state it was when i first played it (november 17) and i still like it. But there are several people here, that have mastered the skills to be really good Jasons and or counselors. Some people here start the game and know after 20 minutes what has been patched and what is broken still or has been broken by the patch. These are important skills for a game and for ironing out bugs and glitches. Even though i know that it isn't easy to implement it - what do you think about the idea to help gunmedia/illfonic out and get the possibility to play a beta of the newest patched version so you can communicate with illfonic to tell them what needs to be done. In my opinion it would be a win-win situation for the players and the developers alike. Jason 4 with only a corkscrew! Make rage level increase faster when players taunt Jason! Give him the ability to kick them towards the counselors to cripple them. Like i said. With Dlc you are allowed to add them. A game has to have 1000G on Xbox One. But a single game is not allowed to have more than 1000G, only if content (like a dlc) is added. And even if they add a dlc. They are not allowed to give another 1000G. With the trophy system from the ps4 it is the same. Hey buddy. Of course you should express yourself. In the threads that already exist. @JPops come on. Help me out. This board is starting to get really messy. Too hard to level up? There already is a perk that lets you gain more points for counselors. This and also all your ideas in the otther thrwad already exist. Study the board. Write in threads that already exist. Don't scatter more threads that aren't needed in the board. It's already conpletly obnoxious how many "buff jason" threads there are in this forum. I had the absolute same thing. There is no motivation. Even between Fox at 31 and Jason at 44 is no motivation. I hope they don't push Uber Jason to a Level 80 ot something otherwise i will have to work up 35 levels for him and that would suuuuuuck. They can't add achievements nor trophies on consoles. When they would make a big dlc that you have to pay for, that would be worthy to be called an add-on, then they could create new achievements/trophies. Please read the rules. And use the search to see if this is being discussed (which it is. In 50 different threads.). So before you post a new thread. Think. Read the rules. Search and then proceed. The only downside to this is again: What if you have a little "helper" inside the counselor-team. He/she would meet up with Jason, dance the rage out of him and then the slaughtering would start after 2 - 3 minutes. New electric power box environmental kill! 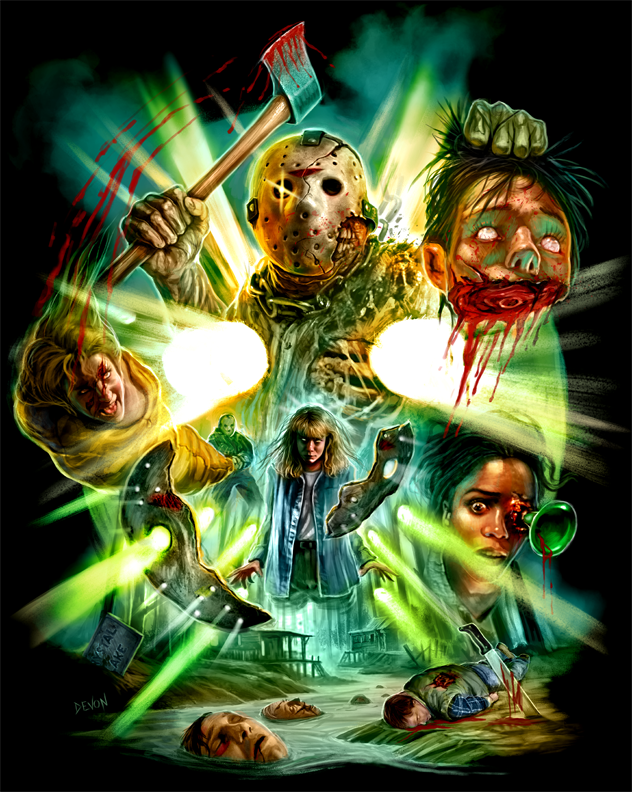 Jason smashes the head of the counselor in the powerbox. Counselor gets electrocuted. Jason pulls him back out and throws him away like trash. Still repairable after that. 2 Player Split Screen on Grendel. One is Uber Jason and the other is Pre Uber. Good hunting. Time attack. Who kills more in less time?